When I read that Peabody was hosting this month´s Hay Hay it´s Donna Day and she had chosen cheesecake as the theme, I knew I had to participate. 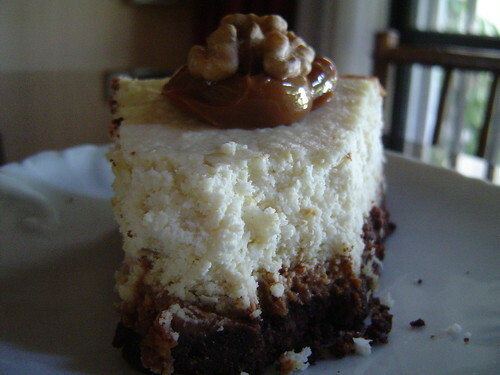 You see, I´ve only done a cheesecake once in my life, it turned out a bit too heavy and I promised myself I would try again with another recipe. But, as usual, the deadline for this event was approaching and apparently I´m not too good with deadlines… which probably has to do with the fact that I´m running after deadlines every day at work, so more deadlines involving a computer screen just don´t suit me too well, which explains my lack of participation in most of the amazing food-blogging events going on at all times. 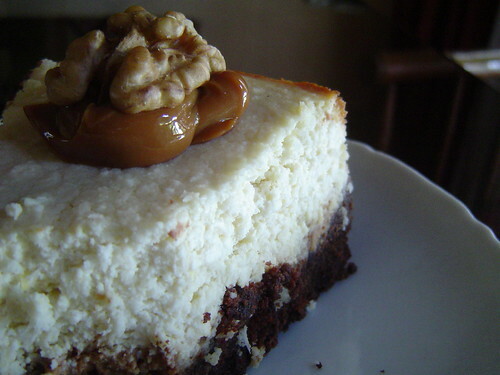 Anyway, back to the cheesecake, I started thinking in twists to make to the regular cheesecake (cheeky, I know, considering I hadn´t really mastered cheesecakes to begin with). But I wasn´t going to present something completely run-of-the-mill in an event like that. So once again I channeled my inner Argentine, and the surprising result was (you guessed it) dulce de leche! Now dulce de leche works well with many ingredients, but one of my favorite combinations is dulce de leche and coconut… I guess I had my cheesecake recipe after all. So I used a ricotta cheesecake recipe as the base, added some grated coconut (and some cream to counter act the dryness of the coconut), spread dulce de leche over the base and voilá, dulce de leche and cocunut cheesecake. Actually, that “voilá” might be an exaggeration on my part since the process wasn´t particularly smooth, especially the cooking part. Turns out, I should have just trusted my guts and kept it in the waterbath for 1 hour and 20 minutes, let it rest for a while and then to the freezer, but I ended up with a great cheesecake in terms of flavor, but a bit on the dry side (no surprise there), with two little cracks and not cold enough. Well, at least I learned my lesson, next time, it´s woobly all the way! 1. Process the cookies. Add the butter cut into little pieace and process again. 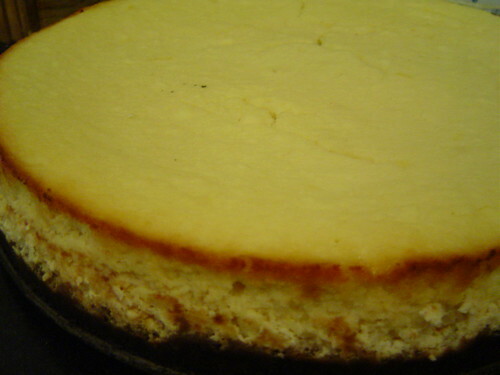 Butter a round pan and press the cookie mix against the bottom of the pan to form the base of the cheesecake. Bake for 10 minutes in a 180°C (350°F) oven. 2. 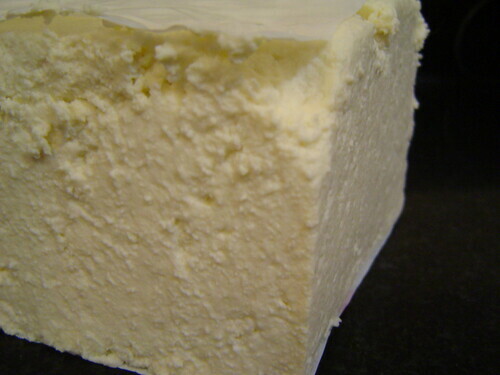 In a bowl, mix the cream cheese with the ricotta until creamy. 3. Add the juice and zest of one lemon, the vanilla extract, the coconut, the cream, the sugar. Lastly, add the egg whites. 4. 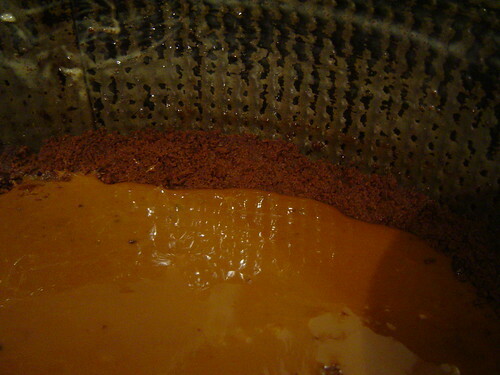 Spread the dulce de leche over the base of the cheesecake without getting all the way to the borders (you can do it while the base is still quite hot, as it will soften the dulce de leche and make it easier to spread… quick tip: you can also soften the dulce de leche microwaving it for 20-30 seconds). 5. Pour the cream cheese mix over the dulce de leche and bake: for 45 minutes without a water bath or for around 1 hour and 20 minutes if you are using a water bath. As I learned the hard way, it should still be quite woobly in the middle as it will set while cooling. I´ve read that it´s best to let it rest in the oven for a while with the door cracked open a bit and then refrigerate it for at least 3 hours. I made the alfajores yesterday and they turned out well, but my drama with sticky sauces continues… I’m still trying to get my dulce de leche to turn out properly. oh, sorry to hear that. Although as I said before, homemade dulce de leche isn´t right for the alfajores because its consistency is a bit too runny. What was the problem exactly? Did the flavors and the cookie consistency work at least? very good combination, im sure the flavor and the love overcame the little dryness. it looks fantastic! 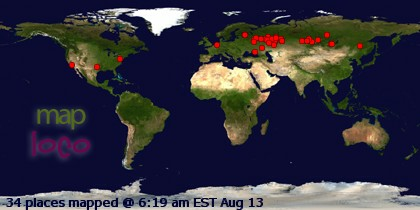 Gertrude- Thanks for stopping by. I´m sure your husband is going to love those alfajores, but do let me know how it goes. Lisa- The flavors were perfect, though next time I´ll up the dulce de leche amount a little bit and take the cheesecake out of the oven sooner without freaking out it might now set properly. Connie- Yeah, I did end up enjoying it, especially the day after for dessert! yum! Looks absolutely divine and you combined some of my favorites flavors. Great entry! Yes I see we both chose dulce de leche, and I agree it works with so many flavors, I particulary like your coconut idea, I adore coconut, but that adoration doesn’t fit with anyone but me here so I can’t justify it for that reason, so I have to work around it. 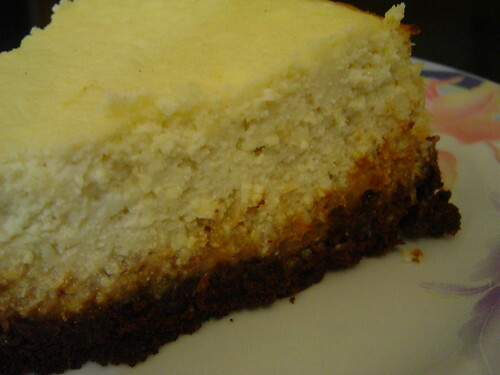 Your cheesecake looks amazing, I bet it tasted good too! Despite your dinner party time crunch, it looks like you have flawlessly created a magnificent cheesecake! I too made my cheesecake with coconut, (topped mine with a passion fruit sauce)- great minds think alike! Great combination of flavours. Thanks for entering HHDD.